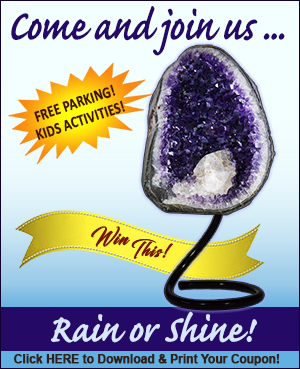 Presents our 83rd Annual Gem, Jewelry, Mineral and Rock Show! When: October 26-27, 2019 <- NEW DATES!!! 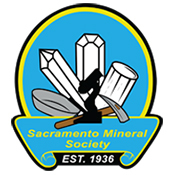 The Annual Sacramento Gem, Mineral and Jewelry Show is a fundraiser that benefits the Sacramento Mineral Society, a 501(c)3 organization that was established in 1936.
exhibitions, fun for the whole family, and great food! Children 12 and under get in free with a paid adult!